Sign language teachers, lawyers, singers, athletes, and women from many different walks of life were all nominated for the 2018 Her Ability Awards. 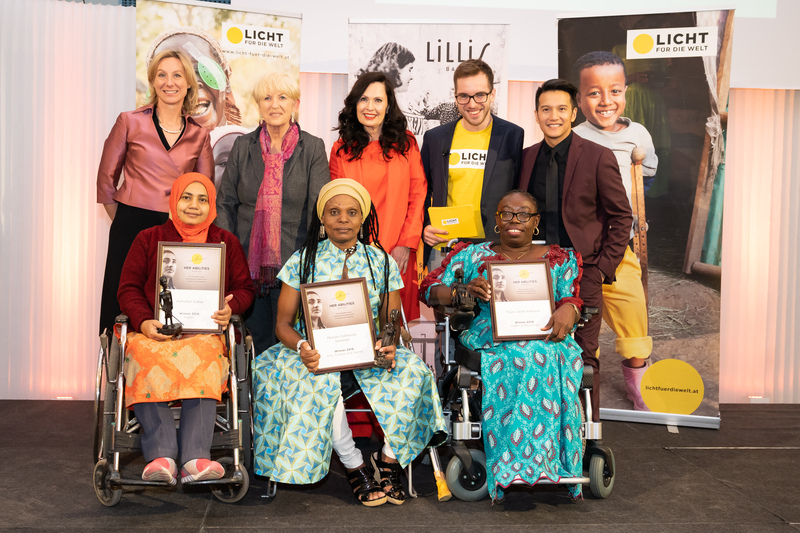 In total, over 359 people and organizations from 52 different countries nominated approximately 158 remarkable women with disabilities who are each excelling in the areas of human rights, health and education as well as art, culture, and sports. The sheer volume of nominations, as well as the moving stories that came with each nomination, overwhelmed us and proved the point we wanted to make, which is that women with disabilities perform on a daily basis and should be recognized for their achievements. 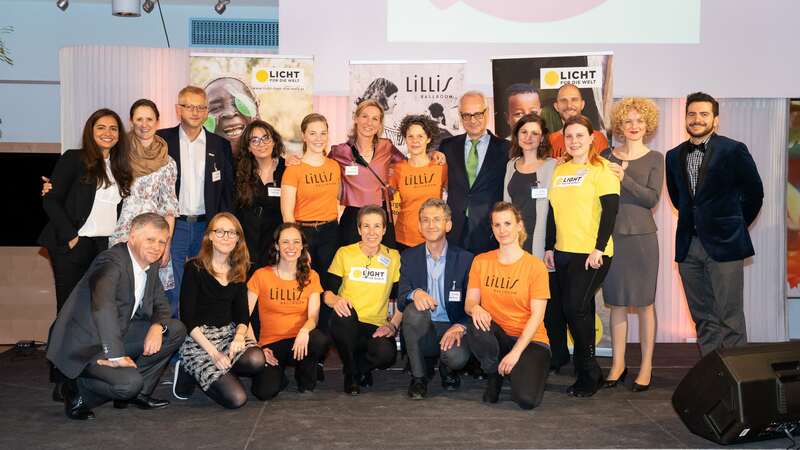 The winners of the 2018 Her Abilities Award were recognized on February 22nd, 2019 in Vienna parallel to this year's Zero Project Conference. There could not have been a better occasion to honor these women than with an event that celebrates a world without barriers where everyone is welcome. 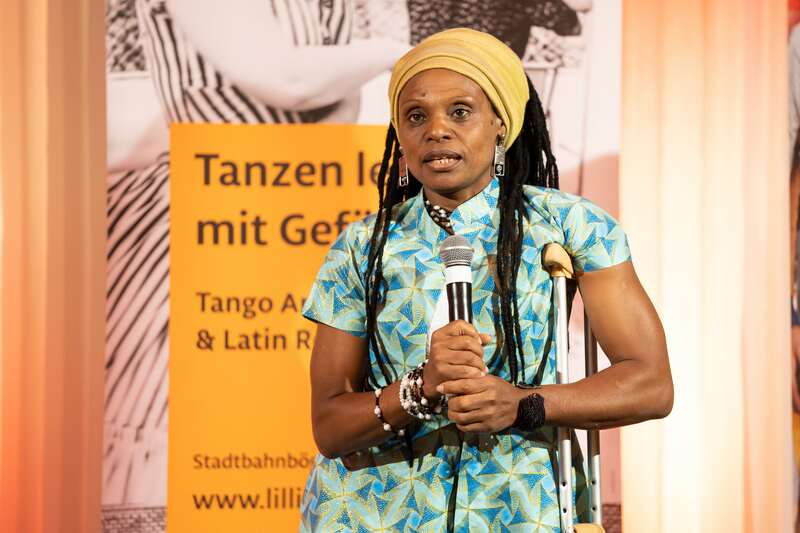 The ten-member international jury was particularly impressed by three nominees: the film producer from Zambia Musola Catherine Kaseketi in the category Arts, Culture and Sport. The Nigerian scientist and public health expert Toyin Janet Aderemi in the field of health and education. Last but not least, the human rights activist Ashrafun Nahar from Bangladesh. Musola Catherine Kaseketi is the first professional female film producer from Zambia. Her first film, Suwi ("Faith") was released in 2009 and screened at numerous European film festivals. The film focuses on the stories of an orphan and a woman who have been living with a disability since a car accident. After releasing "Suwi", she started a project to improve the rights of women with disabilities in Zambia. In her home country, Kaseketi also advises the National Association of Women with Disabilities. Upon receiving her award, Kaseketi generously replied, "This award is not mine, it belongs to the women out there who do a great job." 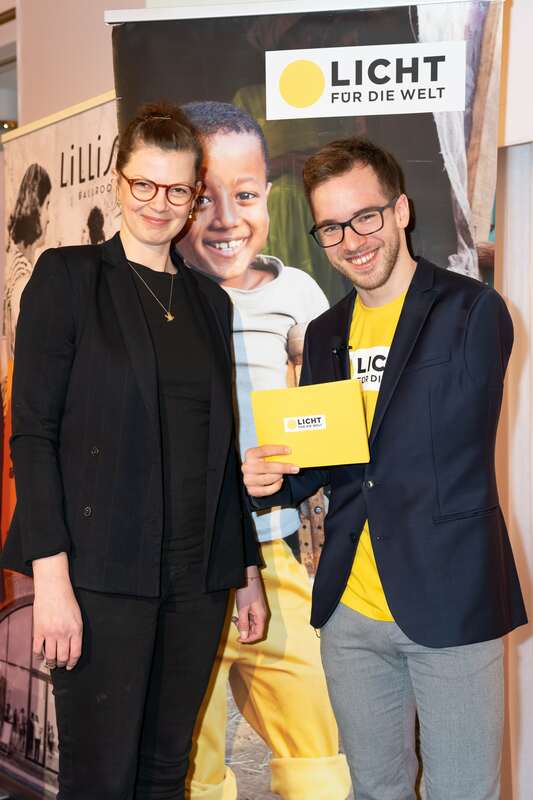 "I was inspired by her story, her strength and perseverance and above all, her ambition for education," says jury member and singer Mariam Doumbia. 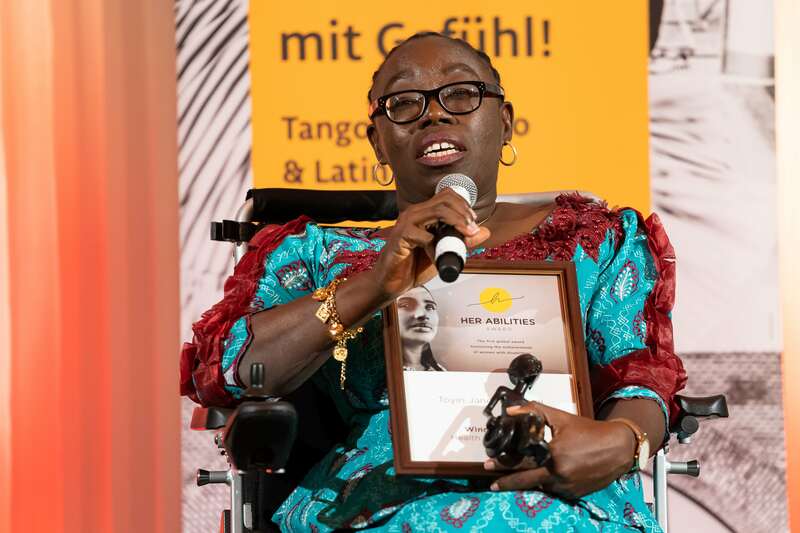 Toyin Janet Aderemi is not only the first woman with disabilities from Africa to run an international NGO. She was also the first woman in a wheelchair, in Nigeria to study pharmacy. 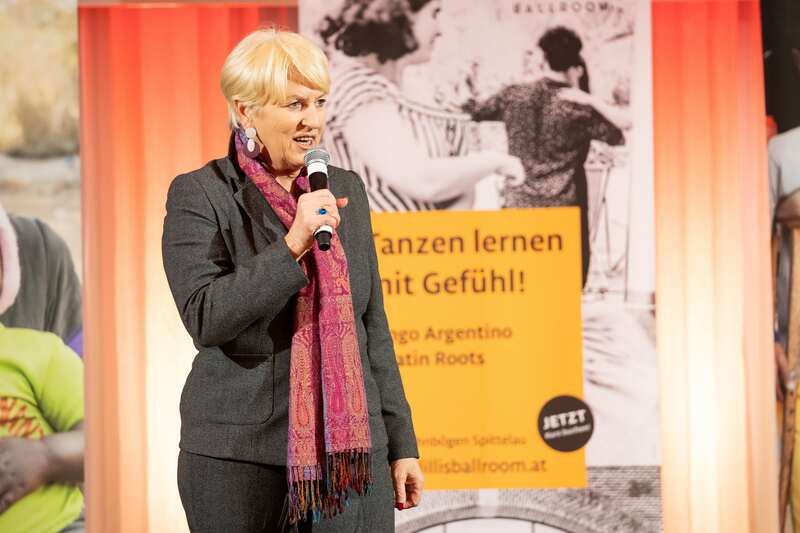 Remarkably enough, she is one of the pioneers in the area of inclusive development in her home country. 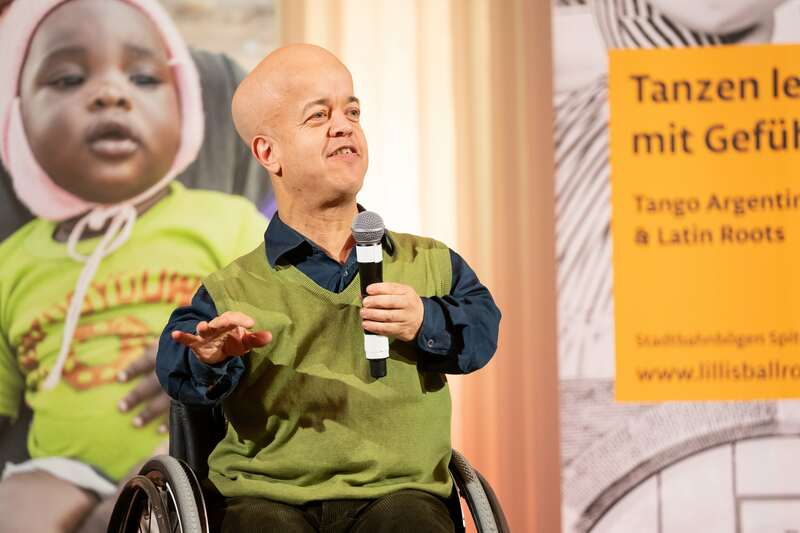 Toyin also conducts disability rights and social inclusion research, working to influence governments and promote the rights of people with disabilities. One of her areas of research is also behavioral medicine - a focus on sexual and reproductive health and the rights of people with disabilities. "Toyin Janet Aderemi has particularly impressed me because she is incredibly engaged and committed to sustainability and expressing the needs of people with disabilities. At the same time, she has an impressive CV and uses her professional knowledge to focus on sexual and reproductive health, an area that is very important for people with disabilities. She is certainly a big role model and has implemented international essentials for people with disabilities." Ashrafun "Misti" Nahar fights discrimination against women with disabilities in her native Bangladesh. 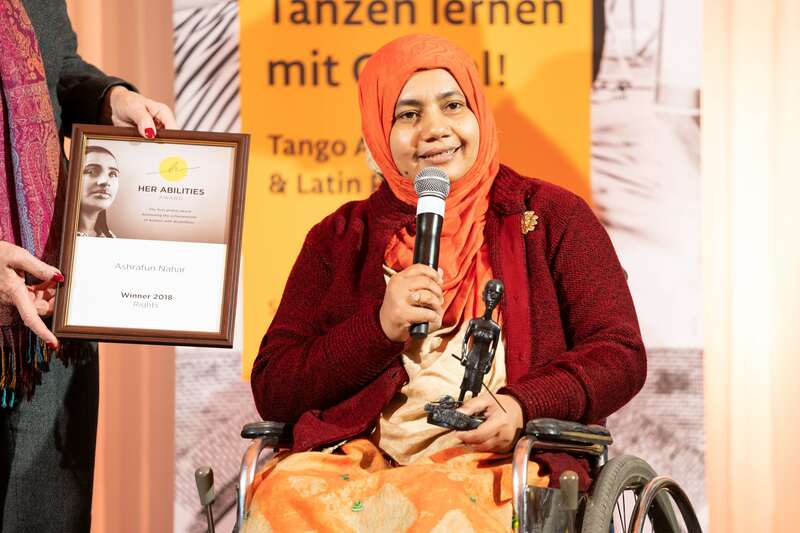 Because she herself experienced discrimination as a woman with a physical disability, the 42-year-old founded the Women with Disabilities Development Foundation (WDDF). The WDDF wants to give a voice to women with disabilities so that they may have equal access to education and the labor market in Bangladesh and can participate in national legislation. 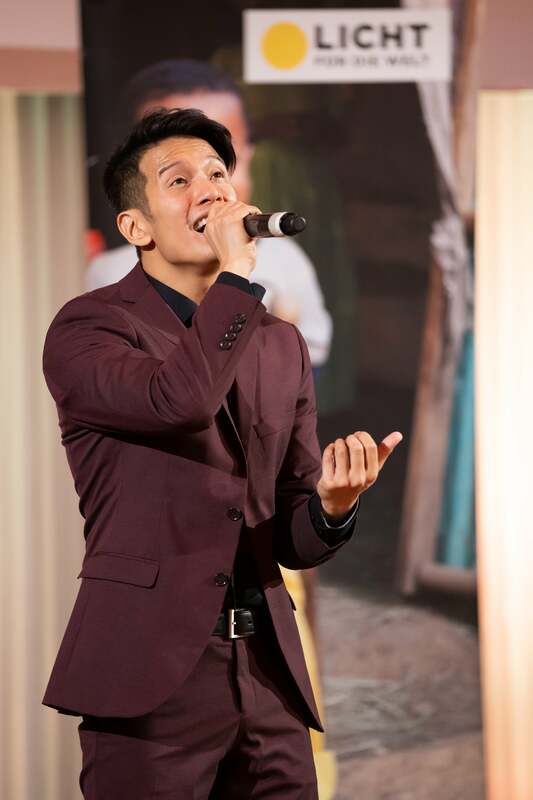 "Ashrafun has been involved in many organizations and has even established organizations that focus on self-determination issues for women with disabilities - such as violence against women, by both disabled and non-disabled women affected. " 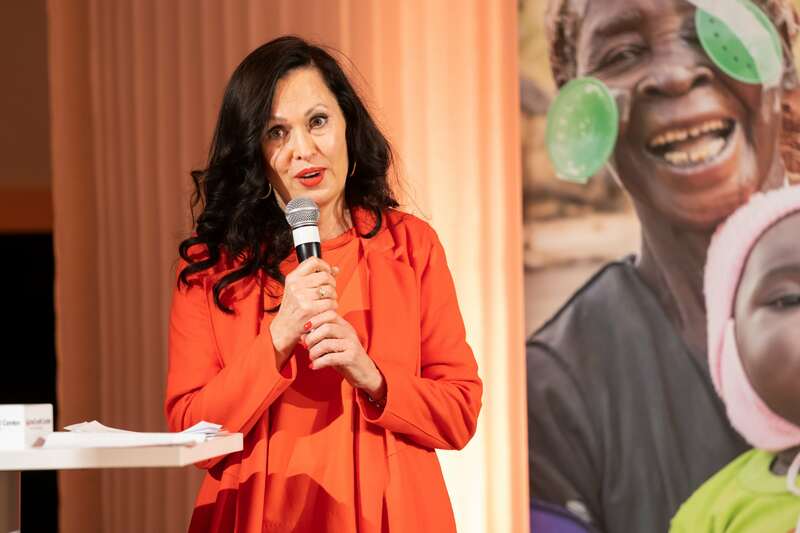 “It is a great pleasure to have all three winners here in Vienna and we are able to honor them in person today”, said Austria’s former Minister of Women and Health, Maria Rauch-Kallat. Ashrafun, Toyin and Musola each received a unique award statuette produced by artists with disabilities from Mozambique. We would like to thank all nominees, nominators, and participants who made this event possible. Please keep in mind that the number of nominations do not count towards a decision by the jury. Multiple nominations do not influence the results. 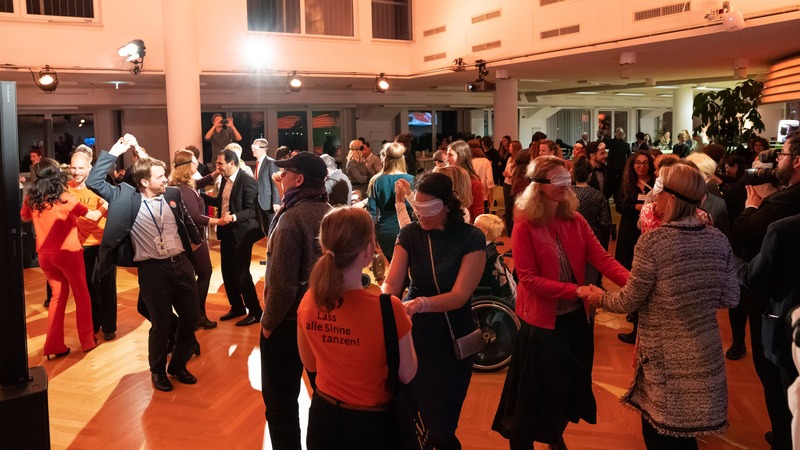 This event was supported by UniCredit Bank Austria, was held in English and was translated into international sign.